How to Setup Self Hosted WordPress Without Killing Yourself! I never thought I would say this but I LOVE WORDPRESS! As a avid user, promoter, and lover of Blogger.com for over 5 years I was very much scared of self hosted WordPress, like scared as hell! 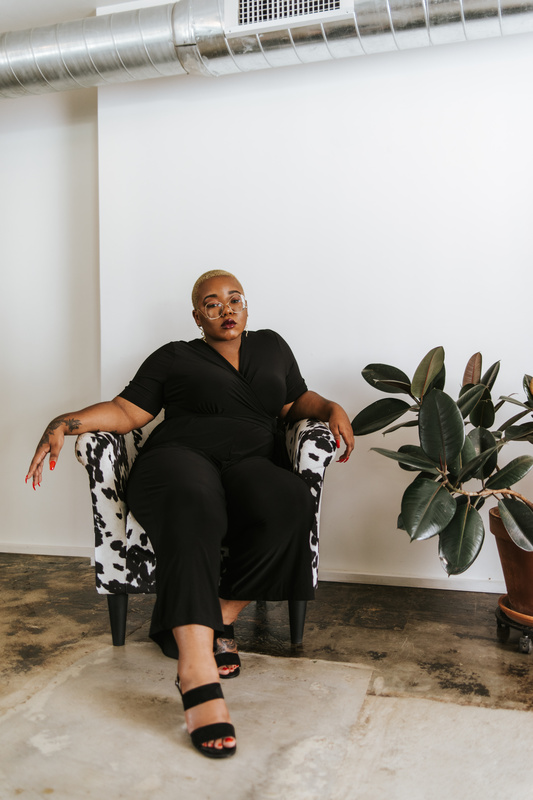 I always told myself that Blogger was good enough for me and I was somehow able to make blogger work for anything I needed to do. When it came to WordPress, I tried creating a site before, didn’t like it and almost wanted to throw my computer at the wall. But I figured that I could give it another shot and I’m so glad I took the chance! There are many reasons why I decided to go with WordPress for this site which I’ll explain in a different post but for these purposes let’s assume you’ve made that decision as well and you’re ready to get going into self hosted WordPress. 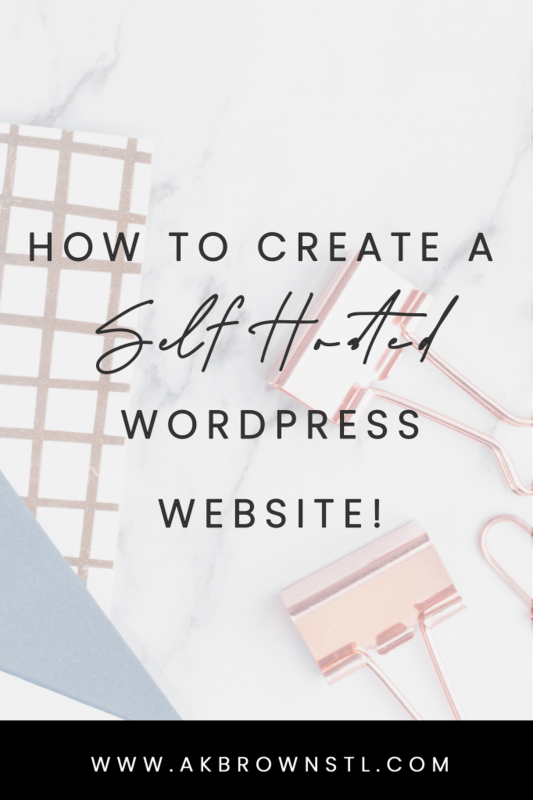 This is going to give you a painless step by step guide to install self hosted WordPress so you can get your site rollin’ and popping’! I use Siteground for my hosting. 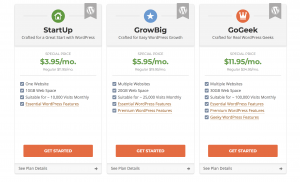 I decided to use Siteground for two reasons: it’s affordable (I paid $70 for my first year of hosting) and easy to get your site up and running. Once you’ve purchased your plan, Siteground provides you with a tutorial on how to set up and install your files, including how to use a domain you already have (like I did) and installing the WordPress files. Because I already have my site up I won’t go through step by step on how to install your hosting, but I used Siteground’s tutorial and was able to get up and running in 5 minutes! Check This Out! How to Create Custom Instagram Highlight Covers! 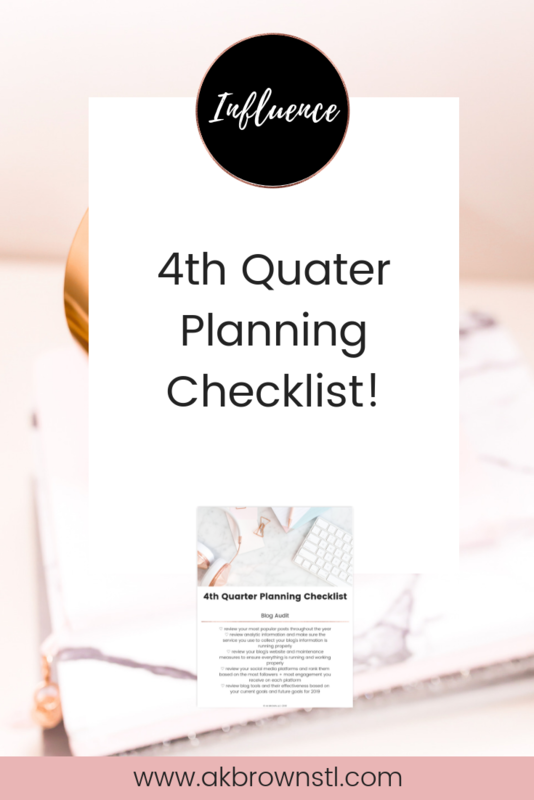 This is the most important step that I will tell you in this post! Why? Because having a genesis theme is like having the caviar of WordPress themes. 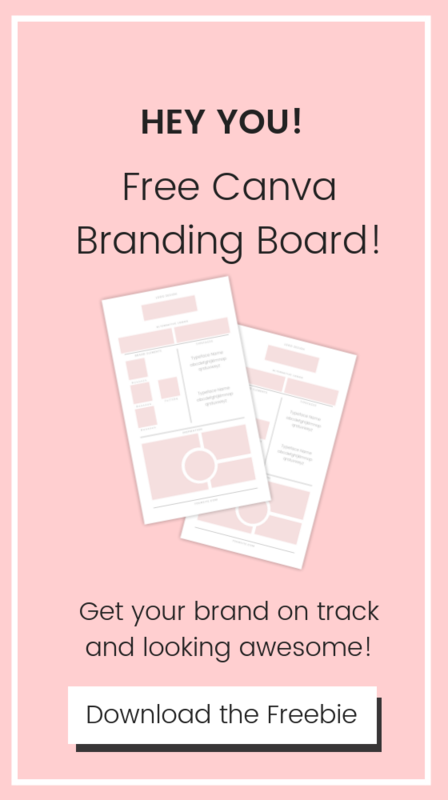 They are slick, responsive, and can help elevate your blog + give you tools such as adding services and products in order for you to maximize your brand. Most of all, how the Genesis themes are built, it’s say to customize which will eliminate a lot of the headache some of us are use to when it comes to WordPress and their themes. 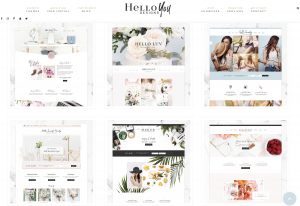 I purchased my theme from Hello You Designs. 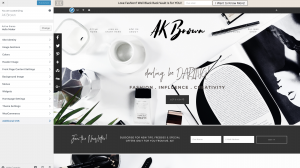 I love these themes because the home page has some many different elements such as email subscription, highlighting of services and my shop, and a direct contact box! 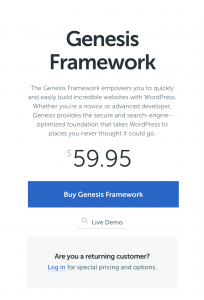 Once you’ve set up WordPress on your site and have bought the Genesis Framework and your theme, you’ll need to install it. In your admin portal on the left click Appearances > Themes. From there you will click the very top to install a new theme. IMPORTANT: YOU MUST INSTALL THE GENESIS FRAMEWORK FIRST BEFORE YOU INSTALL YOUR THEME! If you have any other themes installed you’ll want to make sure that your Genesis child theme is set as your current theme. Once finished, you can now customize! Here is where you can customize the aesthetics of your theme and you get to this portal by clicking Appearance > Customize. At this point you will want to refer to any documentation that your web developer/designer has provided when you bought your template. 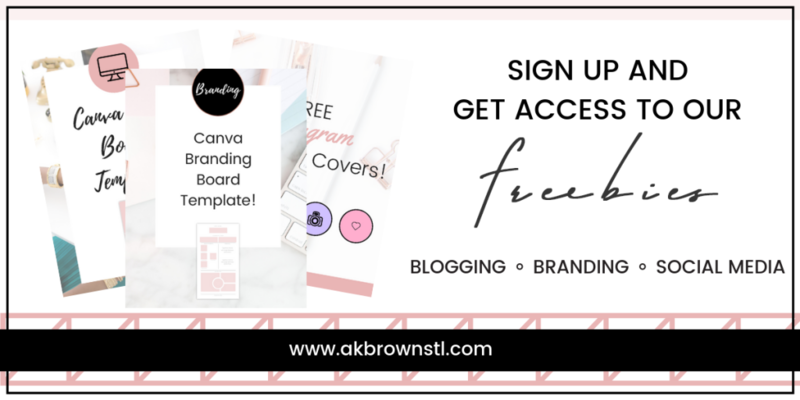 If you purchased your template from Hello You Designs she is AWESOME at providing theme files as well as instructions on the website per each theme! And that’s it! Hopefully this guide serves as a breathe of fresh air and a major help to those who are scared of self hosted WordPress!